In My Life, Personality/MBTI, Reflections. As you may know, I’m a huge geek about all things personality and was overjoyed when Susan Wise Bauer validated my obsession at the conference Will and I recently attended. She was talking about parenting the good kids and the odd kids out, and strategies for helping all kids reach their potential. Teaching kids to self-evaluate is key, she said—especially for the kids who are struggling to find their place in the world. Many kids—especially the kids who are a little out of step with the world, or even with their families—aren’t real self-aware. But self-awareness is a huge life skill: that’s what keeps you from having an epic meltdown about the state of your whole entire life because you’re hungry. That’s exactly why I love personality profiles of every stripe, for my kids’ sake and for my own. I’ve known for ages I’m an INFP, and teasing out how that affects how I feel, how I work, and how I parent has been enormously helpful to me over this past decade. Over the past year, I’ve stretched my personality obsession, investigating the Big 5 and the enneagram. When I first started with the enneagram, I was pretty confident I was a 9—right up to the point when I did the enneagram flashcards with Leigh Kramer, came up evenly weighted for three different types, and was thrown into indecision. That was last December, and I’ve had that enneagram thing simmering on the back burner since then. I was pretty sure I was a 9—I abhor conflict, excel at seeing all sides, and space out when I’m at my worst—but the flashcards confused me. Because I’m easily able to see all sides, I was having difficulty seeing which side I belonged on. But last month I had to make a tough decision that involved, by its very nature, disappointing a lot of people. I felt absolutely broken over the disappointment I was causing. Many people make similar hiring-and-firing decisions every day, but those people aren’t INFPs, and they certainly aren’t 9s. I was sick over it. These personality tools are all about self-awareness, and I had two huge takeaways from that experience. 1. Of course I’m a 9. Who else reacts like that under stress? 2. The way I was feeling was totally normal—for my personality type. Even while I was feeling terrible, it was enormously helpful to know that because of my personality type, I was going to feel terrible. It’s how I’m wired. And so instead of freaking out about why I was feeling drained and borderline-depressed, I could acknowledge what was going on, and why. That awareness makes it easier to move forward in a healthy manner. I was thrilled to find out my friend Leigh was chatting all things enneagram with Tsh Oxenreider on her podcast (one of my faves), and that interview is now live. I highly recommend heading here to check it out. And while you’re exploring personality resources, I also recommend the personality archives here on MMD, and two of my favorite books on personality, Please Understand Me II and The Enneagram Made Easy. Indulge me by sharing your geeky personality insights in comments. Do you love personality tests, or do you take them with your kids? Have you gained huge insights into your own personality under stress, like I did? Share away in comments. P.S. Concrete changes I’ve made because of MBTI and enneagram insights. And my personality board on Pinterest. 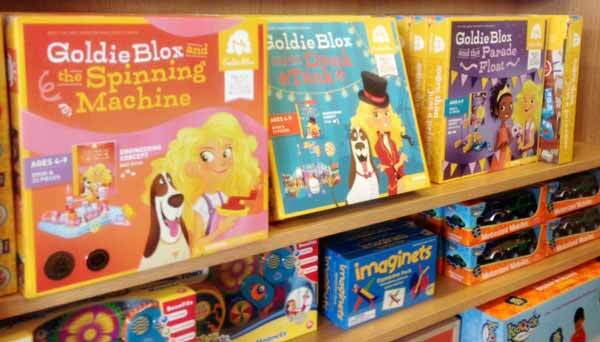 Previous: GoldieBlox: so hot, still cold—and 8 “just right” toys to try instead. 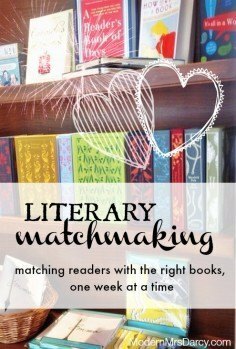 I am a new-ish reader and love your blog! I knew you must be INFP- I am too! And a 9 Enneagram so I completely understand the feeling of disappointing people! I could make all of my decisions based on guilt if I let myself. You are right, understanding yourself is key! Also I attended the Cinci convention as well and tried to hear all of Susan Wise Bauer’s talks, but I missed this one. So Glad you are doing a recap! This post and the last are so helpful!! You were there that weekend? I bet we sat in some of the same sessions! I am curious, Anne. Have you ever had your kids take any of the personality tests just for fun? I took my first as a senior in high school. I recently retook that personality test and came up with the same result. I’m an INFJ (or SJ depending on the day. My score was right in the middle.) I was thinking of offering to my step-sons for a summer indoor activity the personality test. The older one (in middle school) is kind of lost and unsure of himself. Do you think this would be helpful or harmful for a child so young? I haven’t yet with my kids but I’m going to, at least with my oldest, who’s 11. Susan’s recommendation was for junior high-ers and teens … but I’m not going to make any blanket statements! I’m totally a 9, and actually, I think that the enneagram was the most helpful personality assessment I ever took because of that. I think it’s even funny that I did an introvert/extrovert assessment once, and I got exactly equal on both. Is that a 9 thing or what? I mean, I think I’m probably really an introvert, but I can definitely be an extrovert as well, if the situation warrants one. I used to think I was really messed up because personality tests never worked for me (I usually had equal measures of types), but then the enneagram really explained it all to me. Also, I was the really good kid who fell apart in her 20s as well – I would think that would go along with the 9 personality trait. Holy smokes. I never thought of it like that. So, so interesting, Liz. Yes, yes, yes! I do literally take every personality test that there is. I find the Enneagram endlessly interesting and love MBTI as well! I’m an INFP and a 9w1. On my morning drive I was listening to Leigh’s podcast and was struck with the thought, that I never get tired of listening to people talk about the Enneagram. It is so deep and nuanced and, well, I think rather beautiful. I don’t have kids myself, but my best friend (equal in nerdy love for the Enneagram as I am) does and I know that her knowledge of the Enneagram has not only influenced how she parents, but also, I think it is amazing to see her willingness to think about her littles motivations as so different than her own, and parent from there. They are a little young to actually learn the Enneagram themselves, but I have no doubt it will be a big part of their lives (if nothing else, we sit around and talk about it so much). 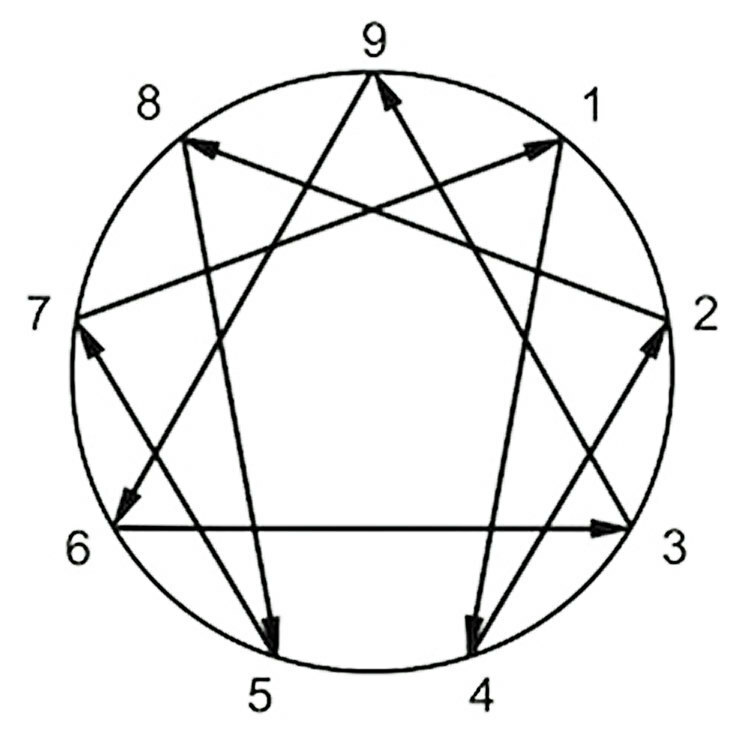 Also, Enneagram wise – I totally nerded out recently when I read about tritypes, which is another facet of the Enneagram that pulls it even deeper. Basically, you have your core type, then two others (one from each triad – instinctual (8, 9, 1), feeling (2, 3, 4) and thinking (5, 6, 7)) So, I’m a 9-4-7. Basically the idea is that after my 9 has exhausted all its tools, I will move into 4s tools, then 7s. So, so interesting – if you haven’t checked it out definitely do so. Ok, longest comment ever. Yay self-awareness! Aren’t TriTypes fascinating? I recently learned about them and it makes so much sense. I’m a 4-5-9. I haven’t gotten THAT geeky yet. 😉 Clearly I have some more reading to do. Tritypes, here I come! I listened to Tsh’s podcast yesterday and loved it. I may listen to the beginning again to hear Leigh’s description of the 9 types again. The way she explained them in terms of the 7 deadly sins made the whole thing make a lot more sense to me. I’m still trying to figure out what type I am – I read the Enneagram Made Easy (at your recommendation), and that helped narrow it down a bit. Any other good books you’ve read on it that you can recommend? I haven’t read the whole thing, but I love what I’ve read so far in The Wisdom of the Enneagram. It goes deeper than The Enneagram Made Easy but it’s still totally readable (not too dense or scholarly). My sunday school teacher in high school did a personality study with us, and I was so interested, I declared myself a psychology major as a freshman in college–until they talked about how much math psychology involved, so I switched to English Literature (and would end up switching again, but that’s another story). I forgot all about the personality stuff until about a year ago, when I rediscovered it here, and other places in the blogosphere. I wish I would have kept up the interest, because that information would have been highly valuable through my 20’s and now. I got a lot out of Personality Plus by Florence Littauer, which was recommended in Kevin Leman’s Birth Order book. I’m a #4–I found the enneagram test soo much easier than most personality tests. Love all the personality stuff–keep it coming! I also suspect I’m an enneagram 8 (the Challenger). As you can see, I’m clearly a delight. That’s a good sign you’ve typed yourself correctly! Oh my gosh, love the quotes you pulled out about your type! I have—but I can never remember my results! I think they’re written down, somewhere…. I am a dyed-in-the-wool INFJ. I’ve taken every official and non-official MBTI test and they all come up the same. I did the Enneagram test too, once, at a psychiatrist’s office in Thailand (long story) and I forgot what I came up with. Anyway, I’ve administered knock-off tests to my kids as well and I think it’s been helpful. My tendency is to navel-gaze, which is not helpful or productive or healthy in the long run. So it’s important for me to know myself but not obsess. (Please pass a good novel). This story sounds familiar. I’m wondering if my missionary friends visited that same respite center in Thailand…. 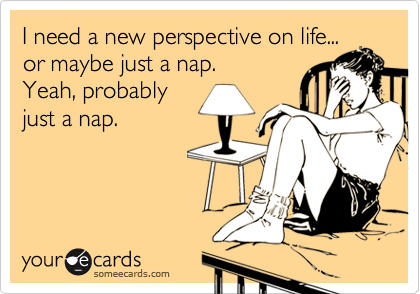 That card about perspective/napping reminds me of KG Chesterton’s statement on what he’d do if he ever started to feel like he was doubting his faith: he said he’d just lie down until the feeling went away. That’s the thing about feelings, they’re so transitory. The passage of time, a good night’s sleep, sometimes just a handful of cereal can be all it takes for feelings to go away and moods to lift. I think there is merit in knowing personalities, though. I’ve mentioned that there’s been a lot of MBTI research for trial judges, my own profession. This has been helpful for me to recognize why I do things the way I do them in the courtroom and around the courthouse. I get all excited every time you do a personality-related post, Anne! (OK, I don’t get out much…) I love personality tests. I’m an ISFJ (actually I score almost dead-even on the S/N factor but I think the ISFJ description suits me better than the INFJ one), and a Six on the Enneagram. My Six-ness has been a major factor in my relationships: I am extremely loyal, sometimes to a fault. The Enneagram is so good at revealing how the same trait or tendency can have both positive & negative aspects. My daughter, who is 15 and has Asperger’s, has been meeting weekly with an Autism Support Teacher at her school; he is an Enneagram buff (a kind, easygoing Nine), so they did the test together, which she really enjoyed. She came out as a Four, and although I’m slightly suspicious about the Enneagram’s validity for someone that young (many teens seem Four-ish, don’t they? ), I think the process helped her a lot. Don’t forget: 6s and 9s have the hardest time figuring out their type. 9s especially relate to the other 8 types, which is why the flashcards threw you off initially. I have loved seeing you embrace your 9-ness! Thanks for linking to the podcast! While I know this about myself (sigh), I still wanted to be sure I was being a typical “9” with my over-empathizing, instead of going down the wrong trail! I think one of the best things about self-awareness is that it helps to, if not actually understand, tolerate others’ behavior, incomprehensible as it seems. When you think that everyone should react just like you do in every situation it not only hinders your relationships but also your own growth! 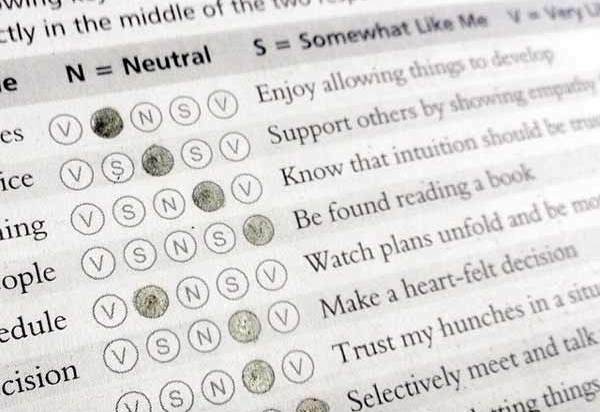 I love personality tests too. INTJ and I need to check out Enneagram. Have you had your children take a personality test? If so, at what age, which one? I recently read Fire Child, Water Child by Stephen Cowan. I was really fascinated with how dead on Earth child my son was. I love how he explained how my son feels and reacted to things. However the book kind of left me hanging on how my son really learns. I was wondering, do you know of a book or resource how to best teach my child based on his personality? Or just on personality types in children in general? I would really recommend the parenting chapter in Please Understand Me II for understanding how personality affects family dynamics. It was so helpful to me! I’ve also heard good things about Nurture by Nature. Have you ever done Carol Tuttle’s Energy Profiling system? We just found out about it this year and it’s been so good for me and my kids to do! And, bonus, since it’s based on facial features and body language (anchored in the idea that God made our bodies to reflect our souls), you can guess other people’s types which has really helped us relate to some key people in our lives. You’re the fourth person to tell me about this so far this spring! I need to check it out. I’ve clicked around but haven’t explored in-depth. I love it! I’m an INTJ myself and her system really helped me make far more sense of things than the INTJ label (although that could be a time of life thing–taking a test in my 30’s vs. high school). I like that it’s based on things that don’t change (e.g., whether I like to have things in piles or if I feel better with clean space all around me). It really helped me to get back to my roots vs. my “this is who I’ve become to fit various other folks’ molds.” And it’s really helped us give space for our kids to be who they are and for them to understand better who we are, since it’s a method even a 5 year old can take and understand. Thank you so much for sharing this!! I am really struggling with basic life situations right now…I’m 46 and thought I had myself all figured out!! I love hearing about your decision fatigue and introverted traits. I am often in awe of how you homeschool 4 children and remain sane! I always knew one child would be it for me, as I don’t have the skills needed to parent more than one…it’s even overwhelming for me to think about!! I think it’s so great you have come to learn so much about yourself and inturn, learn ways to compensate to make your life work best for you! How can I find out which number I am ? Is there a test available? Yep, there are tests, but don’t necessarily accept the answer you get! Consider the test results a starting point. I think reading all the descriptions and sitting with them, thinking about how true or not true each is for you, is the best way to get an accurate type. I’ve heard the in-depth $10 test is worth the money. I was just introduced to the enneagram concept yesterday in Tsh’s pod cast…. It is fascinating! 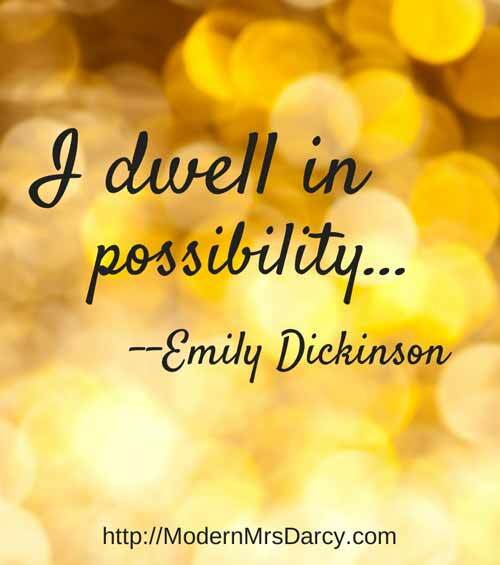 I can across a book called the Enneagram of Parenting by Elizabeth Wagele…. Has anyone used this? Opinions? I have found the book “Discover your Child’s DQ factor” by Dr Greg Cynaumon very helpful in understanding my 4 kids behaviours/ discipline strategies based on their personality types. I just took the enneagram, and my top three are 2, 6, and 5 in that order. There is only a single point difference between the first two. And there is only an eight point difference between the top trait and the bottom trait. I’m not sure what this means, but it is interesting. I think it means you have some more exploring to do! I’m a stereotypical INTJ. The first time I read my type description it was like a million lightbulbs turned on in my head. MBTI has shed a lot of light on my relationships with other people. My mom is an ISFJ and we have clashed all my life, but now that I’m aware of why we clash it’s less about blame and more about understanding that we speak two completely different languages and working to bridge that communication gap. The whole journey into MBTI has been incredibly validating. INTJ women are the minority and like most of them I’ve been marginalized for my tendency to “think like a man.” It’s been indescribably liberating to find out that there are others like me and that I’m not just an odd duck. Society needs all the MBTI types in the proportions they exist to function properly. Yes to needing ALL the types! That’s been one of my biggest takeaways from exploring personality stuff. I love MBTI, but Eanneagram seems more confusing to me. I think it’s because I’m INTJ, and I have to obsess and totally get the connections and subtleties or I’m done and out. 🙂 I’m pretty sure I’m a 5, though. Knowing that I’m an INTJ & what that means has helped me embrace the way I do things and the projects I’m attracted to and go with it, whereas I used to try to apply typical advice that might be true for most people, but isn’t for me; my response and energy and abilities are on the rarer side, which explains why what works for a lot of people didn’t work for me. I agree that the enneagram is more confusing! To my way of thinking it’s much more complex—there are so many nuances! As for typing the kids, the parenting chapter in Please Understand Me II was incredibly helpful to me, for just the reasons you say. I absolutely adore personality tests, and I’ve probably tried just about every one out there. I don’t have children, but it’s been immensely helpful to my husband and I in our marriage (he’d been using Myers-Briggs for years before we met, so he introduced me to it). I’m an INTJ Enneagram 1, while he’s an INFP Enneagram 4. It’s funny, but we generally take in information the same way, but come to different conclusions about it. If we were less self-aware, or less mature, I honestly think the differences could destroy our relationship. As it is, though, we both recognize where our different strengths and weaknesses are, and can therefore turn them to our advantage to balance each other out. It’s pretty phenomenal. We also find that our personality types are a good source of humor, so in our house you regularly hear things like “Stop being so J” or “You’re such a four!” I love it! I didn’t enjoy or even really believe the article at first. I think for INFPs (yes, I’m one too! :waves:), though we can think in the abstract, we prefer to do it on a very small, detailed scale, not the big theoretical scale. I had to figure out specifics in my life before some of what she was saying made sense and I was convinced. And I mean, even though it’s frustrating because The Epic Thread of Epicness can totally take over my whole day as I obsess about it, it’s been ohmygoodness so amazingly helpful, too. SO MANY INSIGHTS. So many. I’m thinking of starting to blog it as a series, to make it accessible. And maybe “just” the comments I find most interesting. It would probably be a series mostly to help INFPs understand themselves, and understanding other types or other types understanding INFPs more would just be a happy coincidence! Talking about self-knowledge, it is a huge part of my parenting. My older boy is an Aspie, so helping him develop a total viewpoint and understand his frailties and strengths helps him make sense of the world and feel good about himself. Sometimes people wonder if they should tell their child they are on the spectrum, if they can “pass”. I think it is best to know who you are and how you are wired, so you can close your social gaps and take on your challenges. And most importantly, set up an adult life that will allow you to be your best. Lots of good resources here for me, thank you!! Anne, you mentioned somewhere in this string that the Enneagram Institute recommends waiting to decide on your type until you’re 30. I haven’t come across that in my studies so want to look into that and learn why. I’ve learned that your type comes on around age 5 and I find you can often see them so clearly in kids because they’re not yet bogged down by all the baggage we’ve experienced as adults. I’ve also learned that if someone has a hard time answering the questions that help lead you to your type, to think about how you would answer it in your twenties as this is typically a time when we are first making our way in the world and discovering who we are and can be the most self-absorbed. Thanks so much for this fun discussion. It’s great to learn that so many other people are fascinated by the Enneagram! I love MBTI! I am an ESFJ and my husband is an INFP. I have loved the book Nurture by Nature, which I think I first heard of an Tsh’s podcast. It has helped me in figuring out my kid’s types and has great insight into parenting them with their type in mind. I am intrigued by the Enneagram but haven’t had time to delve into it yet. I’d love to do a personality test with my oldest (9) but I’ve never seen one specifically for kids. I love the idea that as parents, we’re responsible for helping children figure themselves out, just as much as we help them navigate the world. Thanks for this thought! I’ll have to try the enneagram. Last summer, our local Seminary offered a course on the Enneagram. This was something new to me and it immediately grabbed my curiosity. I read anything I could find that was related to the subject before the class started. Three books and several websites later, I was leaning toward a number but still uncertain about my Enneatype. As the class progressed, we learned about each type in depth starting with 2 and working clockwise. It was easy to feel connected to each of the Enneagram Types and I started to become frustrated with myself for being too fluid. Helping others determine their type came naturally. How could I be so blind to myself? It was embarrassing. Finally, when we had worked our way around to the nine, my prof. winked at me. And hadn’t I really known this all along? The Enneagram is a wonderful tool for self-awareness and especially for spiritual growth. I liked “The Enneagram Made Easy” but “The Wisdom of the Enneagram” is the book I would recommend if a person could pick only one.